This Empty 15-Coin Tray is the new, original government packaging (OGP) for the 2016 Silver Chinese Panda bullion coin manufactured by China Gold Coin Inc (CGCI). 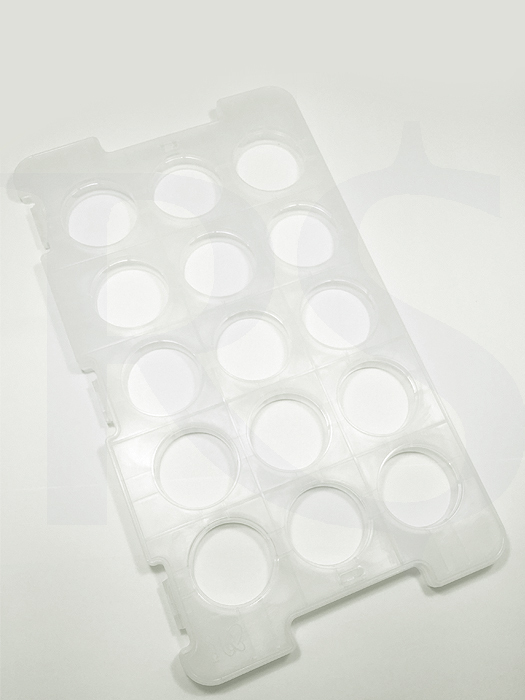 This tray also holds any year Chinese Silver Pandas in original mint plastic capsule as well as any coin stored inside of an Air-Tite H40 coin capsule. The Chinese Silver Panda coin trays snap shut with 3 plastic tabs and interlock when stacked neatly in the same direction. - Length 11.5" x Width 6.5" Tickness x 0.625"
For collectors who want to mimic the 30-coin trays of previous years, 2 of these new 15-coin trays can be snapped together to form a 30-coin tray. 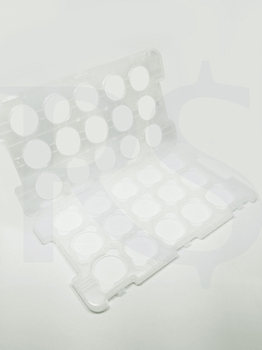 Chinese Silver Panda monster boxes contain 34 of these snap-tight plastic trays to protect and hold the capsuled coins in place during shipment and storage.